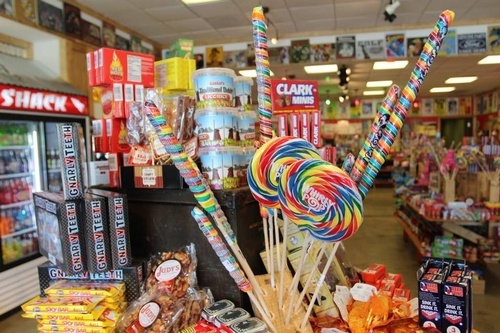 The Rocket Fizz Soda Pop and Candy Shops are one stop shops for all of your soda pop and candy cravings. 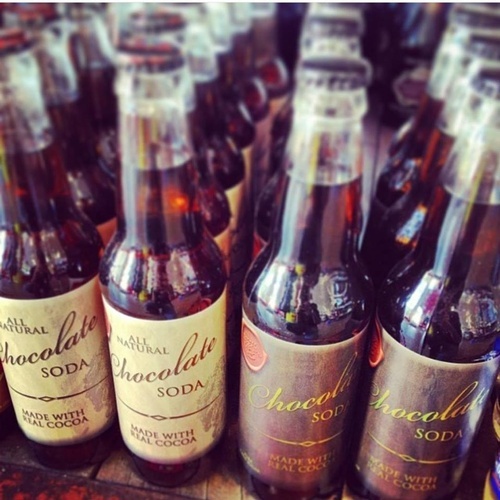 There are thousands of bottled soda pops and candies from all over America, including some from other galaxies. The gigantic selection will launch you back in time to when you were a kid—even if you are over a hundred light years old. 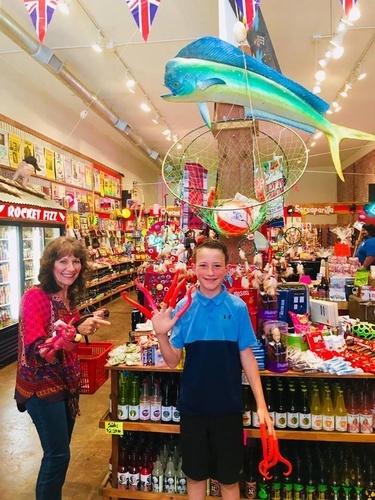 And if you are a kid, don't plan on growing up when you are inside of a Rocket Fizz store. 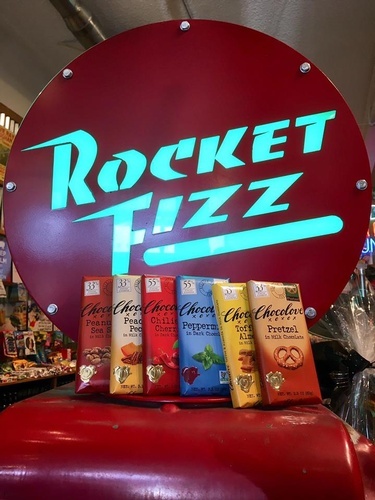 Rocket Fizz is a lot of fun and nostalgic. 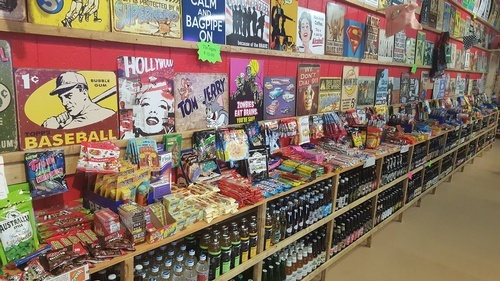 There are hundreds of retro and gag gifts, and concert posters and movie posters, and tin signs too. The inventory is always expanding, just like outer-space. 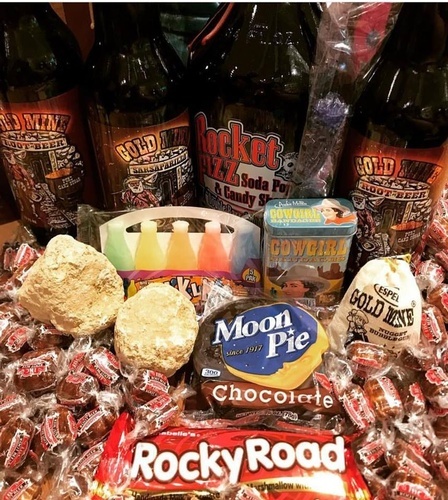 So if you want to have fun then fly on over in your space ship and cruise around a Rocket Fizz universe. Located on Skibo in the Market Fair Shopping Mall adjacent to the Marketfair Cinema and across from Planet Fitness.